This is just about the perfect lazy lunch in existence. All it takes is a few minutes of chopping, a turn in the blender and voilà! Gazpacho goodness popping with deeelicious tomato-y flavor! I know I always brag about how easy and simple most of the recipes on Living Chirpy is, but this one is most definitely in a league of its own. 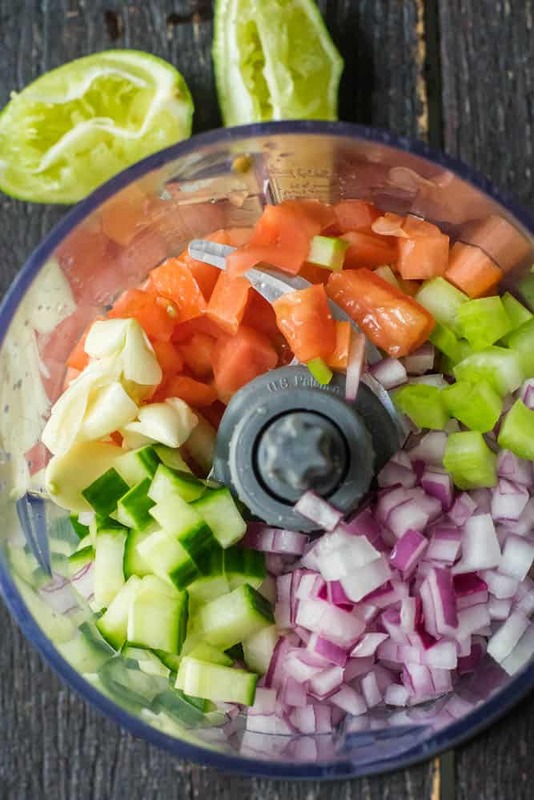 When all a recipe requires is throwing a bunch of raw veggies into a blender, it can’t really be considered cooking, right?. 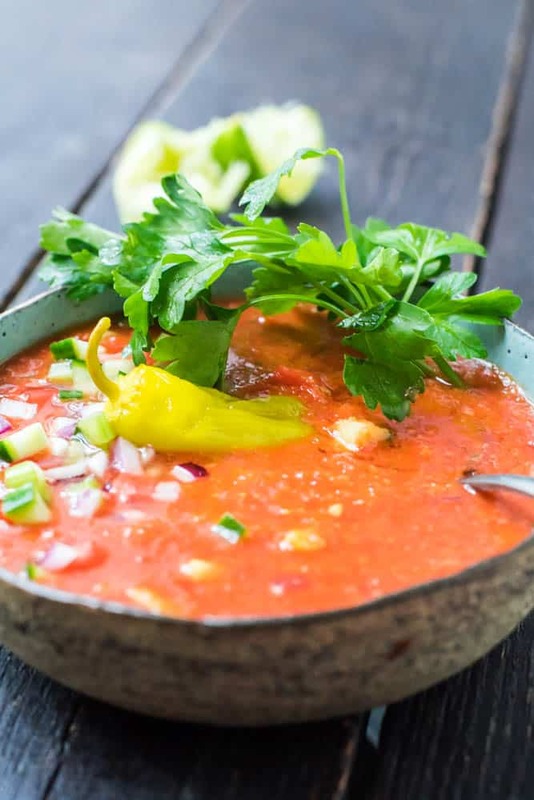 So, that’s exactly what our Zesty Gazpacho is – a recipe so quick and easy that it can’t even be considered cooking! And hey, I just realized that this soup is probably also an awesome recipe to keep in mind for when Little Baby Chirpy finally makes it’s arrival. You know, when we will most likely be too tired to do real cooking (that’s what we’ve been told anyway). Until then, I’ll just be making this delicious Zesty Gazpacho on a regular basis to help me survive the heat and humidity this summer. Blend all the ingredients together to desired level of chunkiness. If desired, you can leave a cup or two of the chopped veggies seperate to add after blending. This will give you a more rustic, chunky soup. Garnish with fresh parsley and a pepperchini.